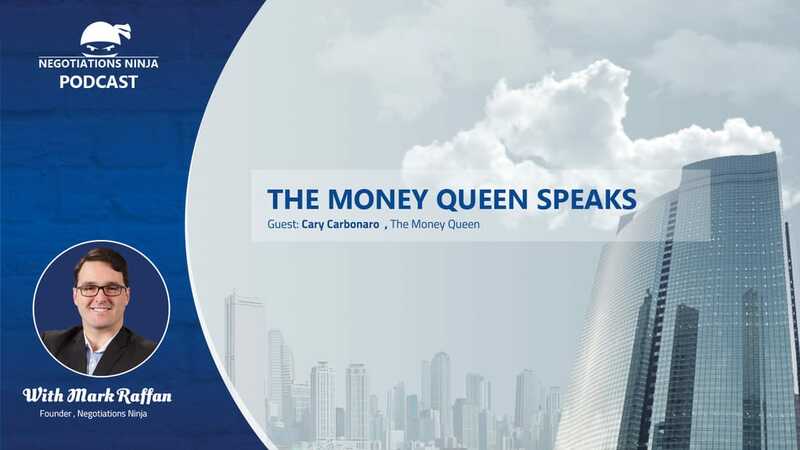 This interview is with the Money Queen, Cary Carbonaro and we talk all about how women can negotiate their personal finances. ​Cary is an award winning, internationally known Personal Finance Expert. She is a Certified Financial Planner professional with an MBA in finance, and has over 25 years of experience in financial services. In 2014, she was named an Ambassador for the CFP® Board, one of only 50 in the United States. Cary is frequently sought out for her opinions and is a leading influencer in her profession. She is listed as #2 on Twitter just behind Suze Orman. She is also listed as “The Most Influential Women in Finance on Twitter”. She is a passionate female advocate and champion of financial literary. She counsels her clients how to life their best financial life and has spoken all over the world about financial literacy for women. Cary has been a guest on “Fox & Friends”, “The Today Show,” CNN, CNBC, CBS, Fox News, ABC, NPR, Fox 5 NY, NY1 and Good Morning Orlando. She is is a frequent guest on WPIX NY and PBS Nightly Business. It was awesome having her on the show. This is the 3rd of 7 interview I did live in the speaker’s room at WIN Summit.